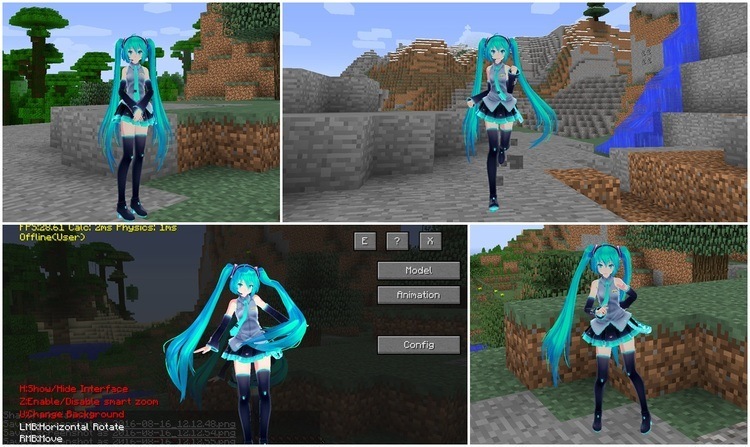 Custom Steve Mod 1.12.2/1.11.2 (CS) allows you to completely replace the simple 8-bit graphics style of Minecraft to use much more complex models of the MikuMikuDance (MMD) system – a dedicated software for 3D animation and design. 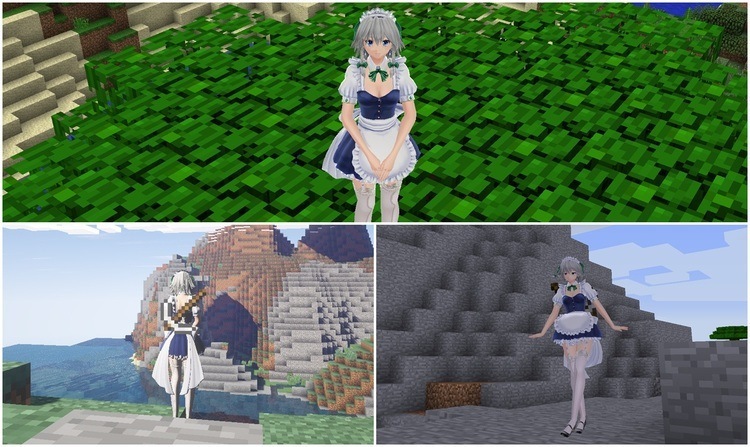 If you are a Minecraft veteran, you may understand the purpose of Mojang in making Minecraft – they aim towards an utmost level of simplicity that allows every kind of gamers to play the game with ease. 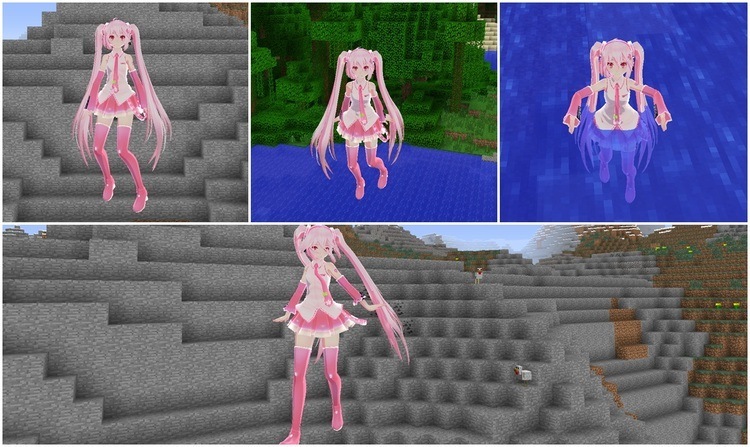 As the result, after a long time of exposure to Minecraft, you may find that the simple design of Minecraft is… way too simple! 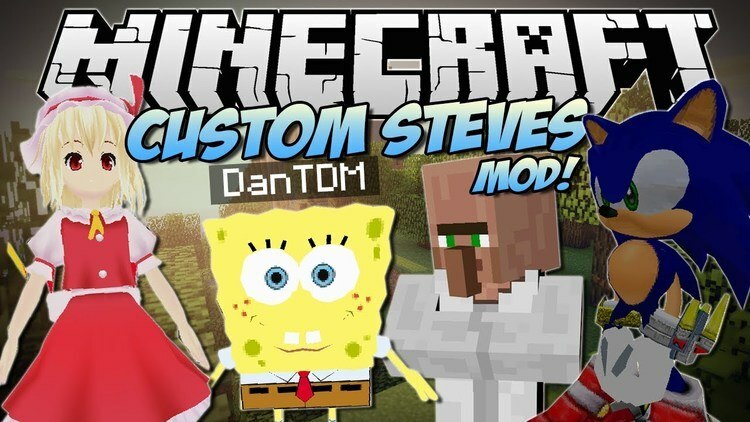 Custom Steve Mod is made to completely change that fact. CS employs the 3D model and animated bone systems from MikiMikuDance – a famous 3D animation system that specialized in 3D design and animation for Vocaloid project. Custom Steve will completely replace the original Steve model, allow players to be any kind of characters, as long as you have the 3D model of that character from the MMD. CS itself contains several basic animation models, all you have to do is to copy and rename them to use. The mod requires Forge Mod Loader and only compatible to Minecraft 1.7.10.